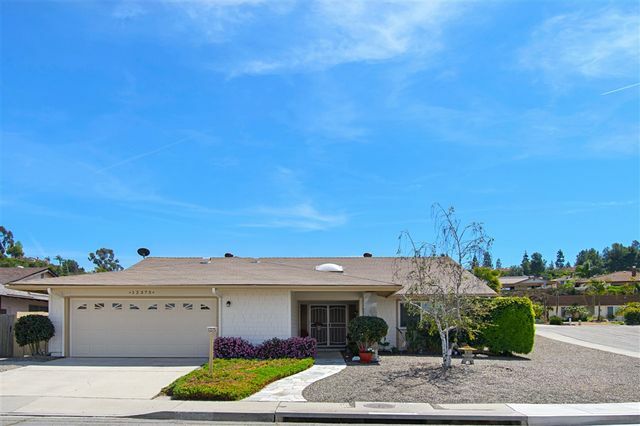 Cul-de-sac w/ mtn views & PowayUSD schools! Soaring ceilings allow light to pour in, dual sided fireplace & wet bar bring together all the living areas & allow for an open space that flows outdoors to 2 patio areas & the turf play zone! Master suite is separated from 2nd & 3rd bedrooms all w/ views! Recent upgrades: Copper plumbing & plumbing fixtures, vinyl windows & doors, cherry cabinets, quartz counters, renovated baths, plank tile floors, SS appliances, furnace, water heater & more! Listed at $1,275,000 - $1,375,000. 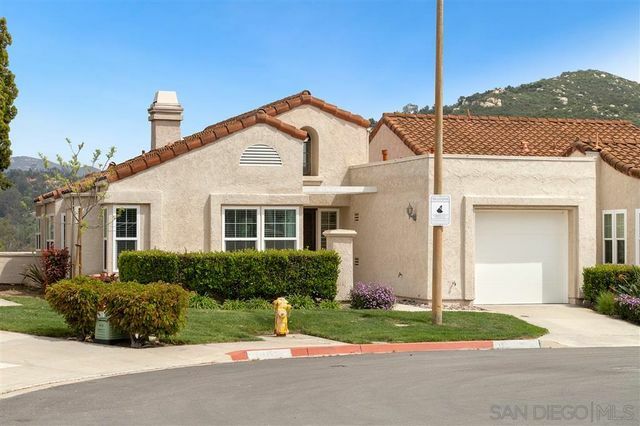 Gorgeous Executive level home with one of the Best Views in Carmel Mountain Ranch! 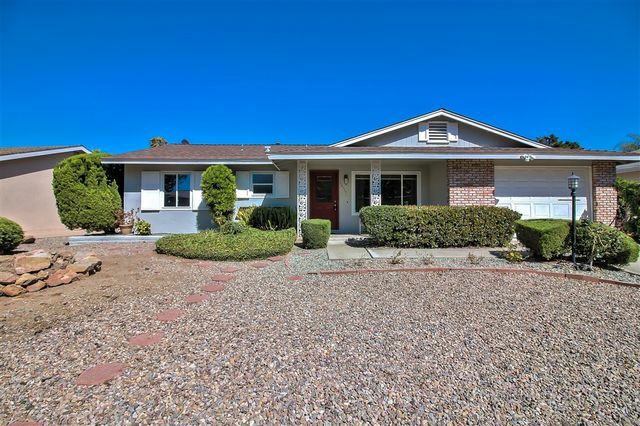 4+Bd/3Ba, 2,910 sqft.at the end of a single sided cul-de-sac with park area across the street. 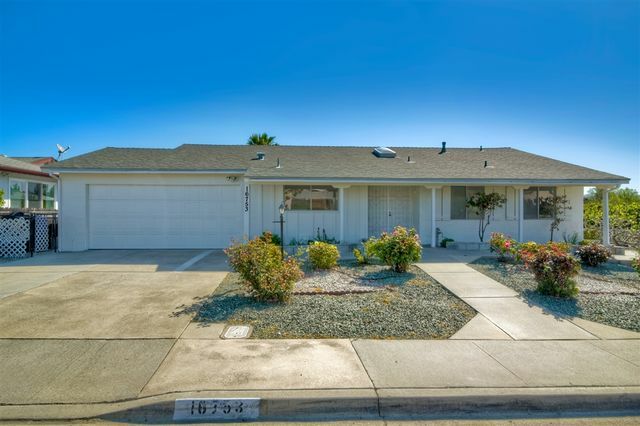 Updated and remodeled throughout with redesigned kitchen with granite counter tops, stainless steel appliances and pendant lighting. Hardwood flooring in the great room and kitchen, new carpeting in the LR, Office, Stairs and Master Bedroom. New Furnace and A/C, See Supplement for More! Pride of Ownership! Quiet end unit nestled in a premium cul-de-sac location with unobstructed panoramic mountain views. This amazing single story home has been lovingly cared for with over $50,000 in upgrades including neutral paint and trim, beautiful hardwood flooring, central air conditioning, a cozy fireplace, plantation shutters, and French Doors throughout. Vaulted ceilings with exposed wood beams and large dual pane windows bask the home in an abundance of natural light. Beautiful home in Montelana w/view of Battle Mtn. Updated KIT featuring quartz counters, SS appliances, island w/built in microwave oven, custom cabs & breakfast area. LIV rm features volume wood beamed ceilings & engineered wood flooring. FAM rm boasts brick fireplace & porcelain wood look tile flooring extending into KIT & breakfast area. First floor MBR w/slider doors to patio & ensuite bath. Lg bonus room on second level & secondary BR’s. Bkyd w/lg grass area & covered patio. A truly unique Seven Oaks opportunity! 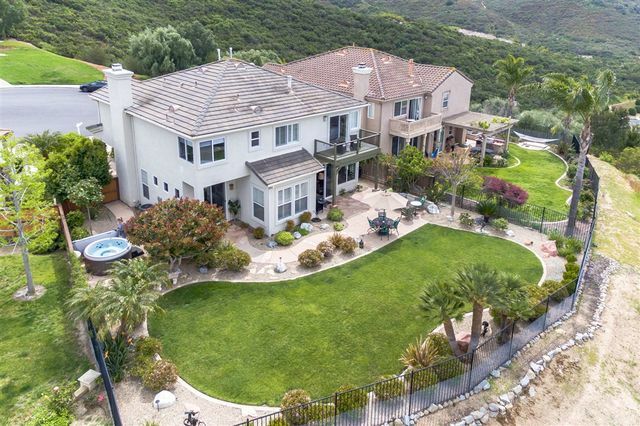 Large detached home nestled on a superior elevated lot - enjoy beautiful East views but short distance to the clubhouse and pool. Clean, move-in ready condition. Spacious open floor plan with abundant natural light; permitted addition can serve as 3rd bedroom, sun room, or caretaker room. Dedicated laundry room, central forced AC and heating, with 2 car garage. 1903 esf, 3BD/2BA. 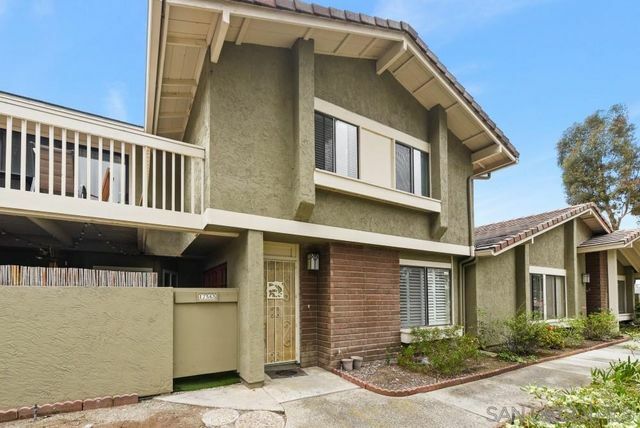 Great second floor condo with view of Bernardo Heights Golf Course. This two bedrooms and two bathrooms condo have crown molding throughout, fireplace in large living room. Both large master suite and the other bedroom have gorgeous golf course view. One car garage, gated building and elevator. Community swimming pool, close to freeway, shopping and schools. Trash and water included.